remove excuses from your language. Author Dean Erickson reveals tools and techniques to help you learn how to achieve success more consistently. Learn how to achieve your dreams and reach your greatest potential with his new book, Act. Adapt. Achieve. Building upon his previous work, Choose Your Story, Choose Your Life, he encourages you to live your best life. He guides you to take necessary actions to achieve your goals and empowers you to adapt when things do not go as planned. The difference between what we do and what we are capable of doing would suffice to solve most of the world's problems. 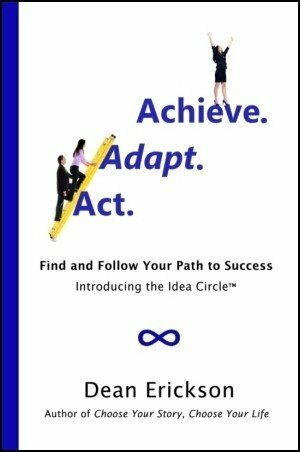 This is a book about taking action to achieve your desired success—whatever it may be. Now is the time for you to create a new job, your own company, better relations with a child, more overall happiness, and anything else you want. Too many people hope for success more than they plan and work for it. Rather than simply hoping “the universe will provide,” know that you already have everything you need to achieve success. You just have to accept responsibility and use what you already possess. Break away from whatever has been holding you back. You may be afraid because you’re not sure how to get started. And, if you don’t start, you’re already finished. This book is about starting, finishing, and getting whatever you want—even if it turns out to be better than what you’d first imagined. Bionic Capital – Wealth Management. Enhanced.